Mindtree IT company profile: Complete details and official website details are gathered and a collection of information is given below. Largest collection of IT companies placement papers available in our website. Mindtree Limited was established in the year 1999 by ten industry professionals from Wipro, Lucent Technologies and Cambridge Technology Partners (seven Indian IT businessmen and three American IT professionals). 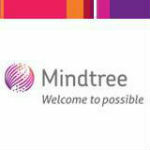 The Logo of Mindtree was designed by Chetan K.S who has a motor and speech disability. – Launched IT and R&D services. – Changed the name “Mindtree Consulting Ltd” to “Mindtree Ltd”. – In 2008, Mindtree won ICSI National Award for Excellence in Corporate Governance. – Mindtree was awarded the “Best Corporate Governance, India, 2012” by World Finance magazine. Mindtree has the work force of 11,000 employees as on 2012. Reference: Wikipedia & MindTree website.